Connecticut has above average state income and sales taxes, and property taxes are likewise on the high side. But there are no additional local income or sales taxes in the state. Retired? Use our Retirement Income Tax Calculator. The state of Connecticut generates most of its revenue through an individual income tax and a statewide sales tax. Income tax rates range from 3% to 6.99%; that top rate ranks as slightly above the U.S. average. The sales tax rate of 6.35% is also high relative to other statewide rates, but because there are no local sales taxes in Connecticut, that is the maximum rate levied anywhere in the state. That makes Connecticut among the more tax-friendly states for shoppers. Since there are no local income or sales taxes in Connecticut, however, local governments must collect most of their revenue through property taxes. That is reflected in the state’s high effective property taxes: the average Connecticut homeowner pays $5,582 annually in property taxes, the highest amount in the U.S.
Connecticut’s personal income tax is a relatively recent development: Up until 1991, only capital gains, interest and dividends were taxed. Today, those income sources, as well as wages and salaries, are taxed at marginal rates between 3% and 6.99%. The rates paid by a particular taxpayer are determined by tax brackets, as shown in the table below. Those tax rates are based on Connecticut taxable income, which is derived from the federal adjusted gross income (AGI), which appears on line 37 of IRS form 1040. To arrive at Connecticut taxable income, generally all that needs to be done is to subtract the Connecticut personal exemption from federal AGI. 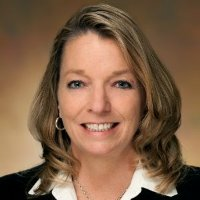 Consider looking into tax preparation software like TaxAct and TaxSlayer to help file your taxes. The personal exemption in Connecticut can be as much as $24,000, depending on filing status and income. In general, exemptions decline as total annual wages or salary grows. The table below shows the personal exemptions based on filing status and total annual wages for taxpayers in Connecticut. Note that this is not based on taxable income (i.e. income after deductions and exemptions), but rather total wages. For joint filers, these apply to each spouse’s income separately, and can be claimed for both spouses, if both are working. 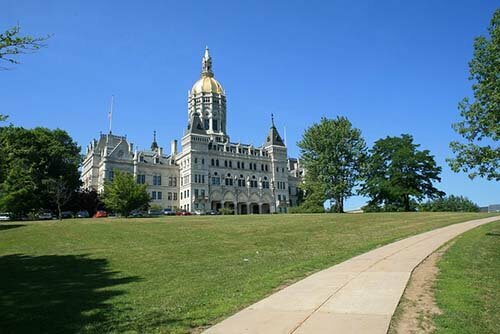 Connecticut is different from other states in that it treats personal exemptions for state tax as tax credits. That means instead of deducting an amount from taxable income, Connecticut residents reduce their tax liability after it has been calculated. 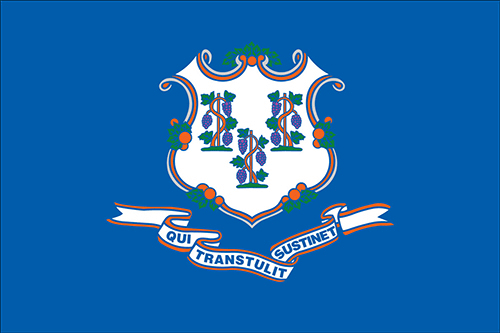 In general, Connecticut uses tax credits instead of deductions. Among these are the Connecticut Earned Income Tax Credit (CT-EITC), equal to 23% of the corresponding federal credit; the Property Tax Credit, up to $200 for eligible Connecticut homeowners with property tax liability; and the Personal Tax Credit, which ranges from 1% to 75% of income taxes due, for eligible taxpayers up to a certain tax level. For single filers, the cut-off is $64,500. Connecticut has a single, statewide sales tax, and no local sales taxes. Regardless of where you are in the state, you will pay 6.35% on most goods and some services. There are some exceptions to this, however. If you rent or lease a car for 30 or fewer consecutive days, the sales tax rate will be 9.35%. Additionally, the sales tax rate jumps to 7.75% for the sale of more than $50,000 of most cars; more than $5,000 of jewelry; and more than $1,000 of clothing, shoes, handbags, luggage, umbrellas, wallets and watches. If a nonresident of Connecticut buys a car in Connecticut, the sales tax rate drops to 4.5%. Connecticut does not tax most types of food typically purchased in a grocery store. Items like fruit, meat, pasta, rice, salsa and bread are nontaxable. However, many types of food in single-serving packages, like small bags of chips or cookies, are taxable, as are candy and soda. Prepared food of any kind is also taxable. There are just eight counties in Connecticut, but average property taxes in each of these exceed $3,600 annually. The highest average property taxes in the state are in Fairfield County, where homeowners pay $7,229 annually. However, since homes there are also worth more than elsewhere in the state, property taxes as a percentage of home value are actually below the state’s average. The average effective property tax rate in the state is 2.07%. That is the fourth highest effective property tax rate in the United States. Thinking of financing a new home or refinancing your current home in Connecticut? Take a moment to look at our Connecticut mortgage guide, where you will find information on rates and getting a mortgage in Connecticut. Like many states in the northeast, Connecticut has its own tax on estates. The tax is similar to the federal estate tax, but with some notable differences. First, the 2018 exemption amount in Connecticut is $2.6 million, less than half the federal exemption. In 2019, the Connecticut exemption amount will rise to $3.6 million. Estates with a taxable value above that amount must pay estate taxes. Rates begin at 7.2% for the first $1 million above the exemption, 7.8% for the next $500,000 (up to $4.1 million), 8.4% for the next $1 million (up to $5.1 million), 10% for the next $1 million (up to $6.1 million) and then an additional 0.4% for every $1 million in value of the taxable estate. The top rate is 12% for the portion any estate exceeding $10.1 million in value. The state gas tax on regular fuel in Connecticut is 43.5 cents per gallon of regular fuel. That’s the seventh highest gas tax in the country. The tax on diesel fuel ranks ninth, at 43.9 cents per gallon. Capital gains are taxed as regular income in Connecticut, which means they face a top rate of 6.99%. According to the Campaign for Tobacco-Free Kids, Connecticut has the second highest cigarette tax in the nation, at $4.35 per pack. This ties Connecticut with New York for the second highest rate; they trail only Washington, D.C. at $4.50 per pack. Excise taxes on alcohol in Connecticut are near the national average. The total tax on liquor adds up to $5.40 per gallon, tied with Rhode Island for 29th highest in the country. The tax on wine is $0.72 per gallon, which is 28th highest, and the tax on beer is $0.23 per gallon, which is 27th highest. “Yankee Doodle” is the official state song of Connecticut. Author Mark Twain lived in Hartford Connecticut for 20 years. He published both of his most famous works (The Adventures of Tom Sawyer and The Adventures of Huckleberry Finn) during that period. The Ivy League’s Yale University is located in New Haven, Connecticut.